EPBOT: Make These Warrior Belle Leather Bracers... From Fun Foam! 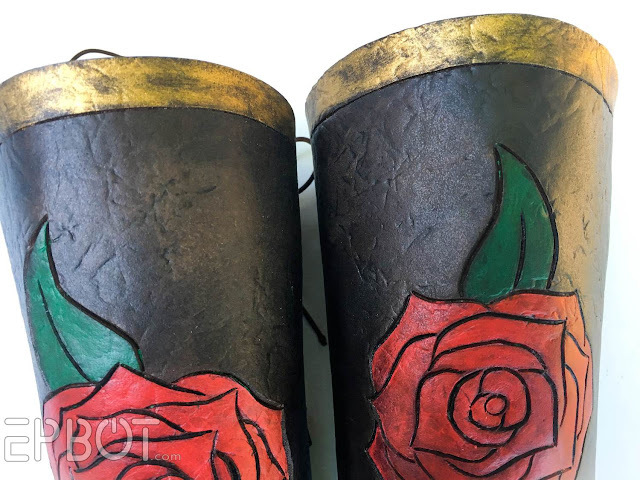 Make These Warrior Belle Leather Bracers... From Fun Foam! Everyone knows how great foam armor can look, but most of us find EVA foam a bit intimidating. It's kinda pricey, extremely labor-intensive, and all around a big commitment for someone just looking to dabble in foam for cosplay. 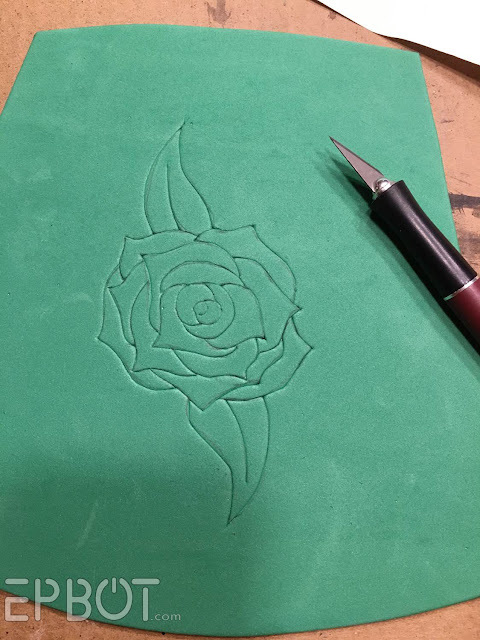 From a single 12X18 sheet of kids' Fun Foam from the craft store? And that the only special tools you need are a craft blade and a clothing iron? MUCH less intimidating, amirite? I made this rose design with a Warrior Belle in mind, but it would also look amazing for Poison Ivy (just add more green) or an original steampunk cosplay. Not to mention you can carve *anything* in this stuff, so sky's the limit! I'mma teach you how to do that now. 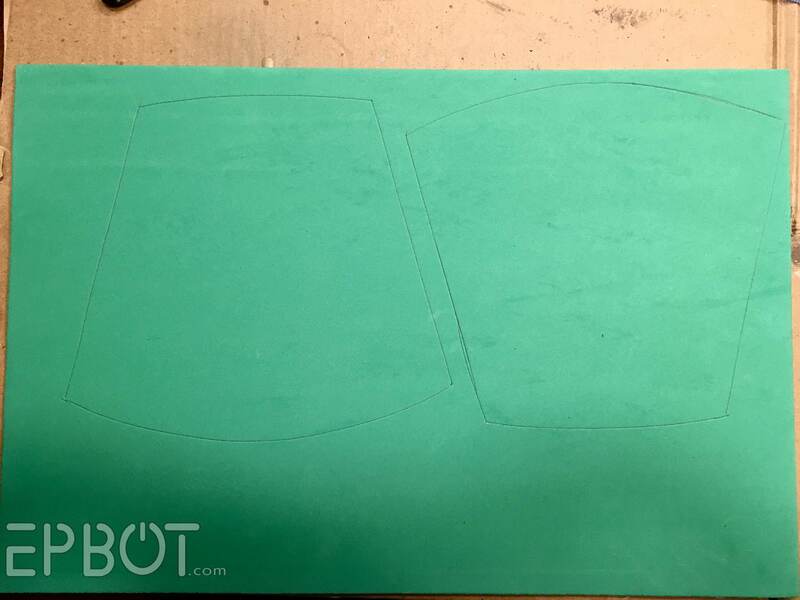 In fact, I'mma give you templates so you can make a pair just like this. The first thing you need to know is that Fun Foam comes in 1mm (the most common), 3mm, and even 6mm sheets at the craft store - and the 3mm thickness is perfect for arm bracers. 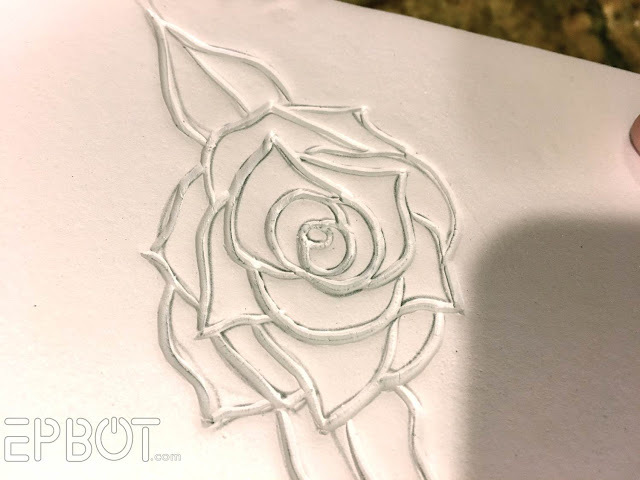 I sketched the rose out with a pencil, then used a craft blade to cut into the foam slightly. 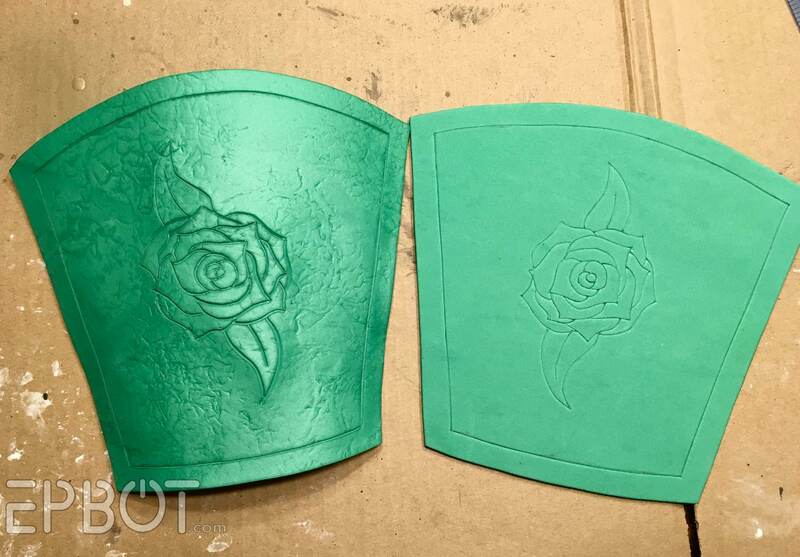 There's still one more trick to making your foam look like leather, but before I get to that, let's make some bracers. Yep, crumple a sheet of tin foil, and briefly iron it onto your foam. Repeat 'til you have as many crinkles as you like. Ironing the foam also heat seals it - see the shine? - which means your paint won't soak in as much. VERY HANDY. First a base coat of cheap acrylic craft paints in brown, red, and green. Followed by a wash of thin black acrylic to age the brown leather areas. Note that the black paint may grab & try to pull off your base coat when you wipe it off - which happened to me. (Blurg.) To fix this, I sprayed on a quick clear coat to seal in the base coat, then followed again with the thin black paint. 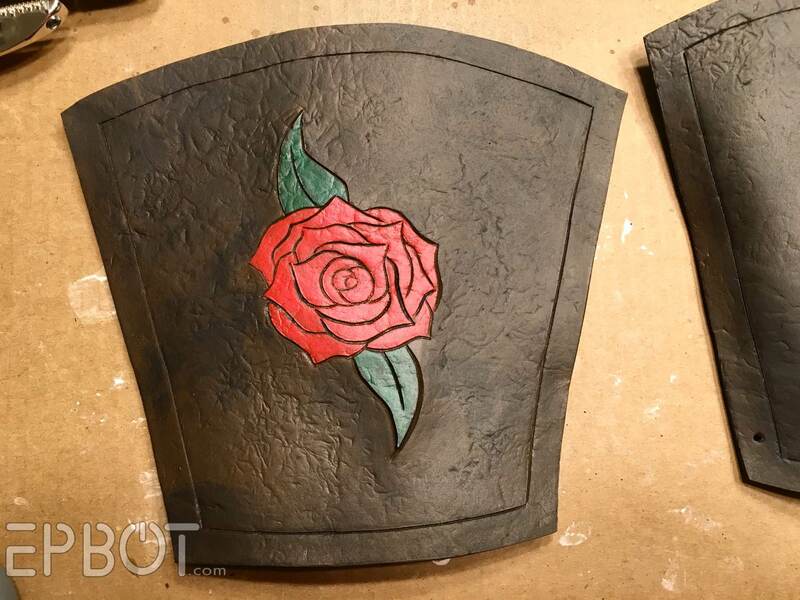 6) [Optional] Clear coat the whole thing when you're done, to give your bracers a pretty sheen. 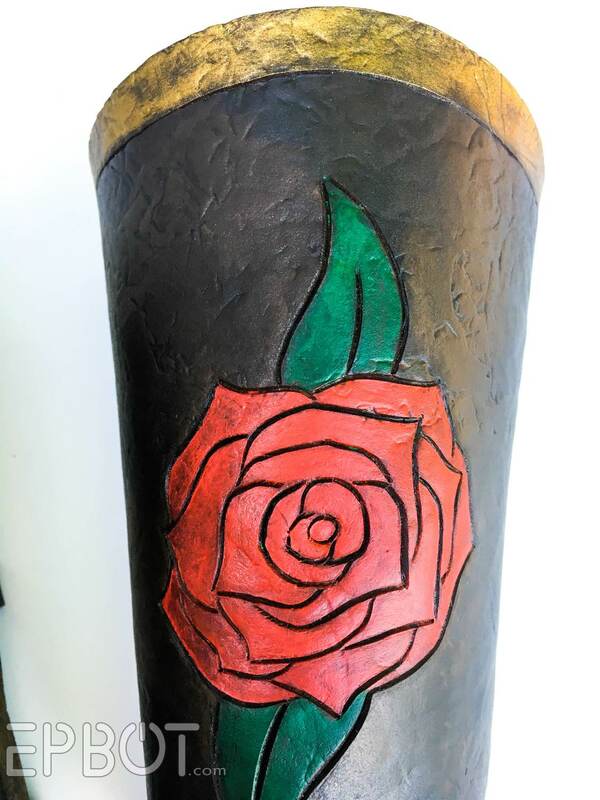 You can use a spray lacquer or brush-on Modpodge for this. 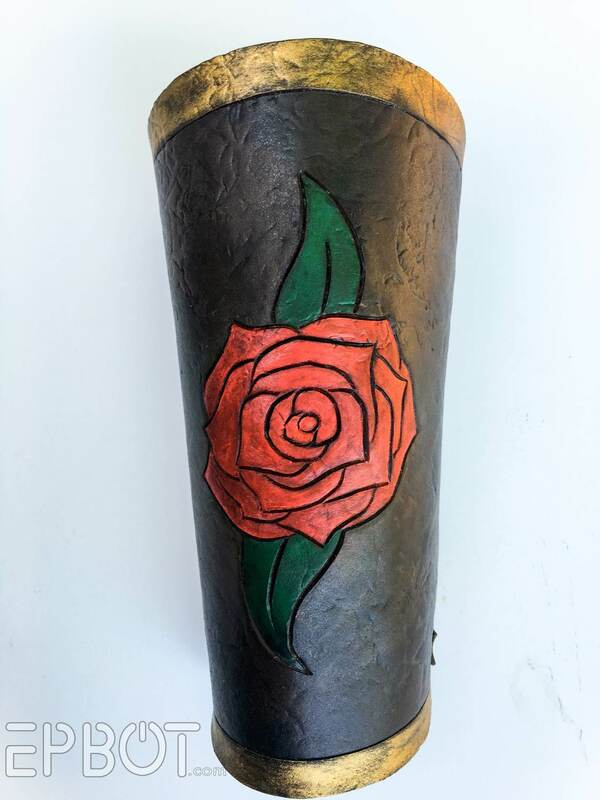 My last touch was a gold border of Rub N' Buff, applied with a very stiff paint brush. 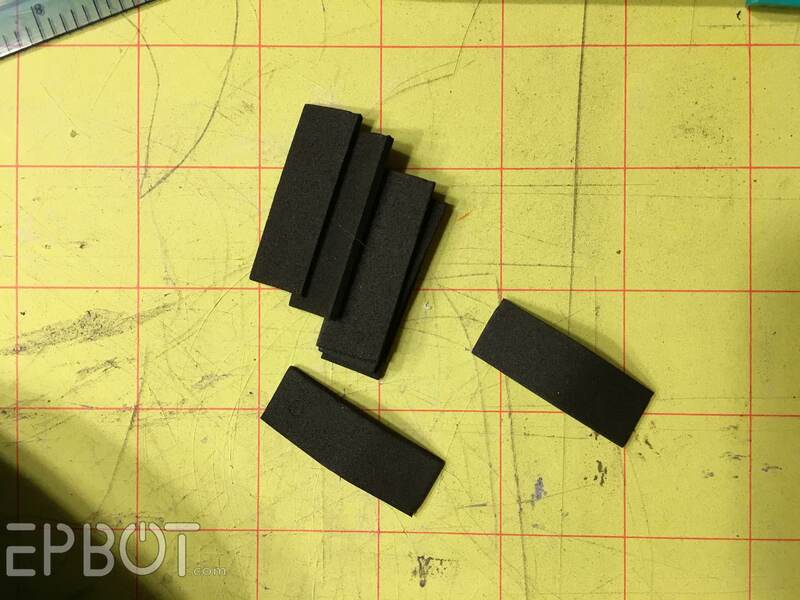 Cut out 12 foam tabs approximately 1.5 X .5 inches from the thinner 1mm Fun Foam. 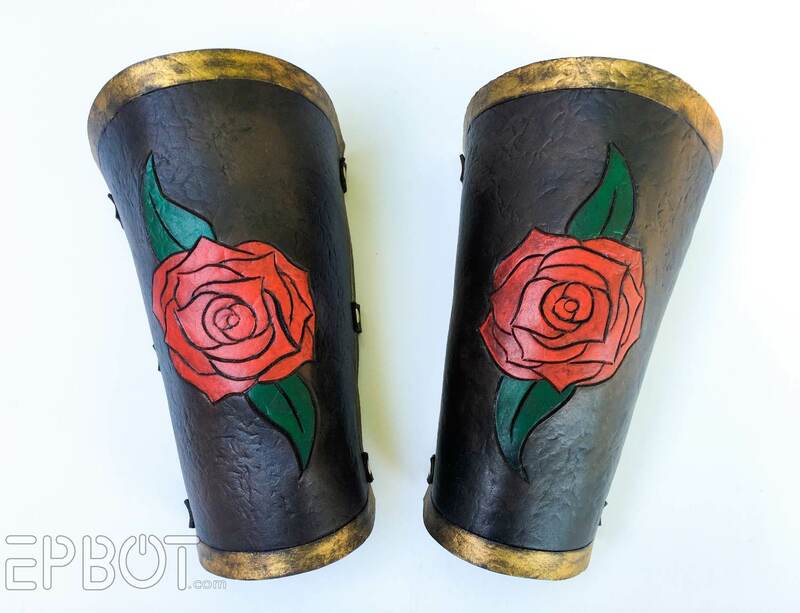 Paint them brown, age them to match, and use gold rivets to attach them down the sides of your bracers. 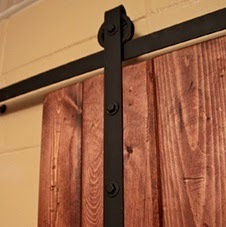 This method is a little more durable, easier to cinch, and looks cool, natch. Can't you just see flaming arrows ricocheting off my arms? And hear dramatic music? Or is that just me? 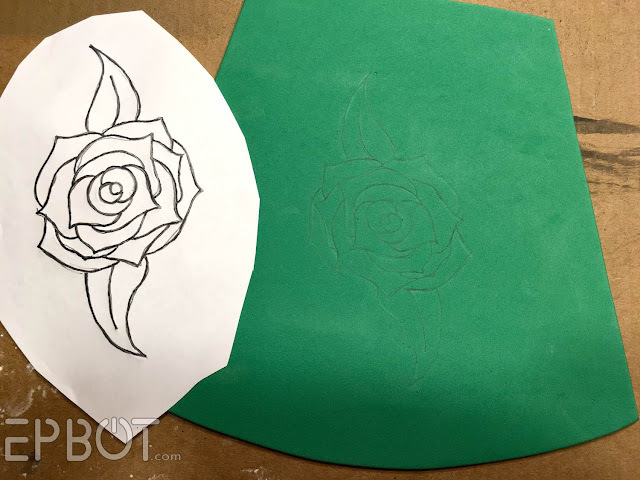 This whole project only took me half a day - and that includes sketching out the rose and figuring out the template from scratch, so yours should go much faster. So hey, what are you waiting for? Go make stuff!! And then send me pics pleeeaaase. I do hope this inspires some of you to play more with Fun Foam! Happy crafting! Want more? Then check out my Craft Page for ALL of my tutorials and projects in one place! So Cool! I think I might need to play around with some foam now! Nice! Hmmm. I've just moved to North America. To within 10 walking minutes of a Michaels. That means I can get my hands on a bunch of previously inaccessible cool craft stuff. This could be dangerous . . .
More importantly, welcome to Michael's! Basically every purchase gets you a coupon for your next purchase, so you're never free. If you are close to a JOANN'S Fabric store; they also carry craft supplies, I find that they are less expensive than Micheals. Good Luck. I have a shopping center down the street that has a Michael's, Jo-Anns, a specialty fabric store, and a Home Depot ALL RIGHT NEXT TO EACH OTHER. We're new to the area, and when I discovered this awesomeness I called my mother and squealed over the phone with giddiness. and sign up for their email newsletters. they're pretty frequent, but they ALWAYS have a discount coupon, which is often 40 or 50% off. Wait, I can comment now? I can comment now! Woohoo! 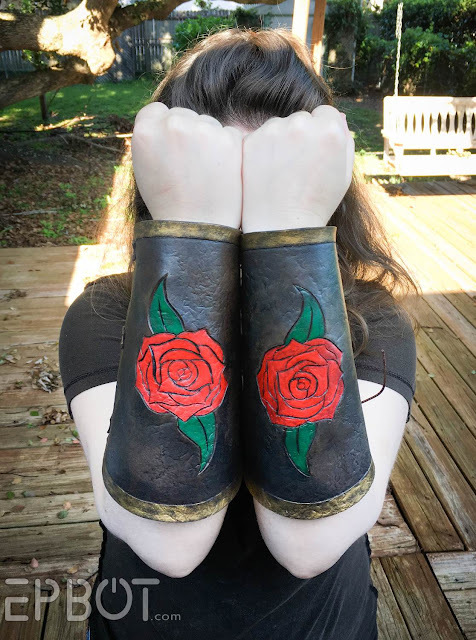 The bracers are absolutely fantastic! Thank you for sharing your ideas. You are creative and wonderful! My 12 year old son would love these to go with his wizarding/warrior costume he likes to wear around the house. Did you ever see that episode of Castle where they caught the bad guy by realizing someone had tied a crappy bow behind her back and was ergo the baddie? Your bracers are awesome btw. 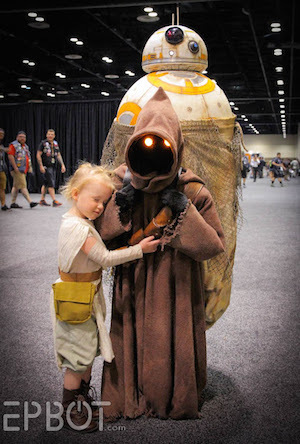 If you got sick from catching things, you might try a cosplay that involves a medical mask. 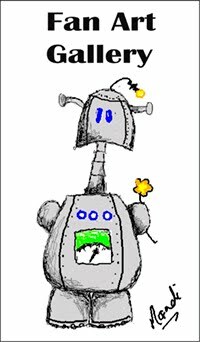 When I wear my steampunk one I'm less likely to catch con crud, so I've been tempted to go full cyber goth just for the mask, lol. Those are amazing! And I immediately thought of Belle! Now I'm gonna have the soundtrack from Beauty and the Beast on my mind all day :). Just glue some gears on it! 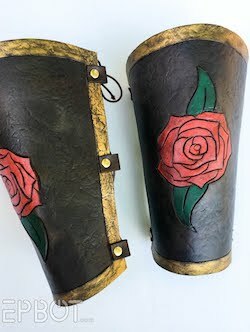 I am so making these for my Renaissance Garb! Thanks! I was just thinking how much I'd love to see Wonder Woman's bracers, lol. Beautiful and clever project! Thank you for posting, Jen. We've been talking about making some armor for our 2 year old, and I think this is the perfect way to do it! 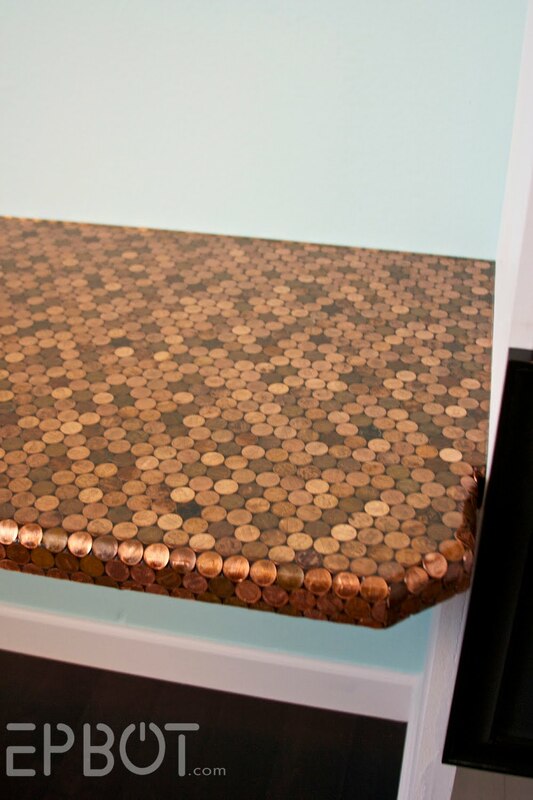 Thanks for coming up with this awesome idea and sharing it with us! You have GOT to be kidding me! How do you even think of stuff like this?! That looks amazing and SO much like leather. Now even vegetarians and vegans can wear costumes that have "leather" components! How strong would you say the foam is after you finish it in the way you describe here? Stronger than without the paint and heat? Weaker? Do you think a corset could be made if I had a big enough sheet of this foam? 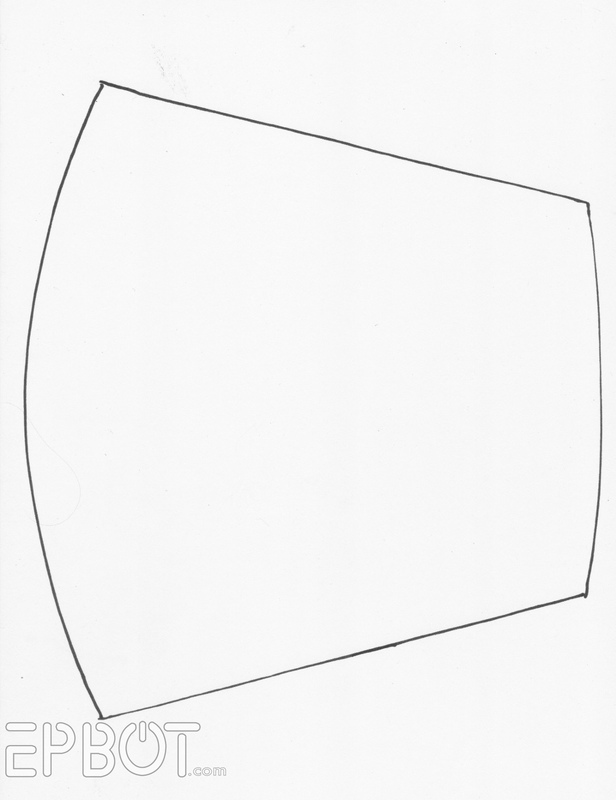 Is it even sold in sheets larger than 12" x 18"? Would a foam corset hold together well if I didn't cinch it too tightly, or would it likely split apart in places that had the most tension? Do you know if the paint will flake off if the foam is creased or stretched at all? What temperature setting did you put your iron on when you did the aluminum foil bit? I know, I know. Too many questions. This has just inspired me like crazy because your results are so stunningly beautiful. The foam is definitely not strong, and paint & heat-sealing doesn't add much either way. If you wanted to add foam components to an *existing* corset (say, made of fabric) that might work, but don't make the foam itself weight-bearing or under pressure, or it could buckle and split. And temp setting on the iron was... uh... all the way hot. Ha! 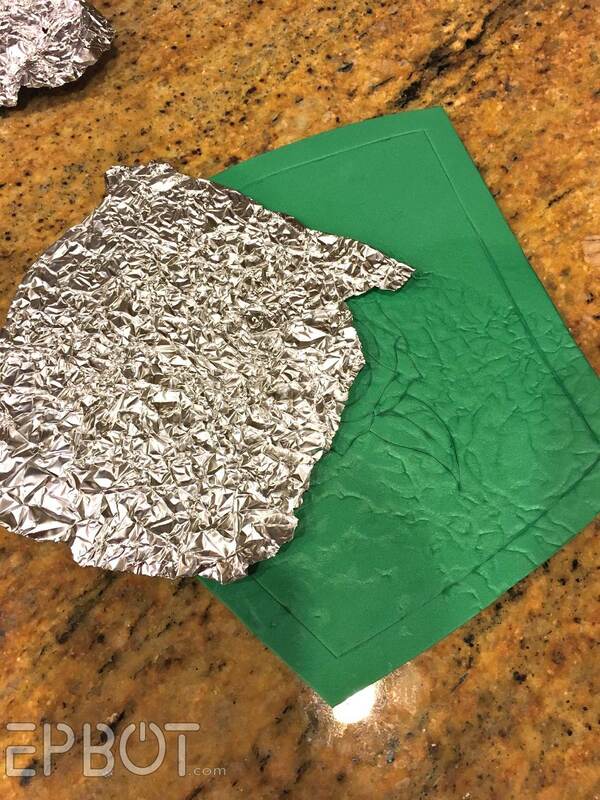 It doesn't take long at all to press in the foil, so just hold it for a second or two at a time. This is amazing... 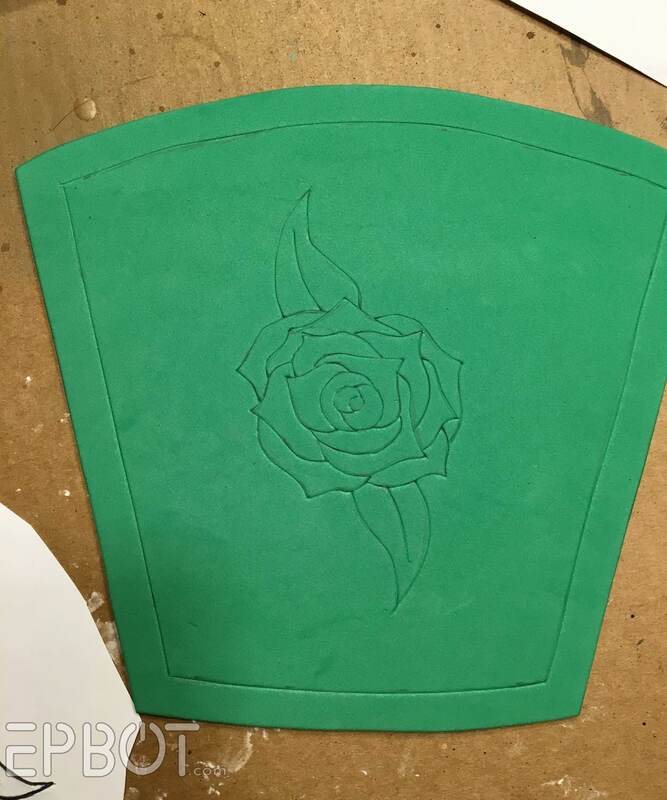 I have totally been intimidated to work on EVA foam, but this, this I can do, and I think it's going to look SO. COOL! 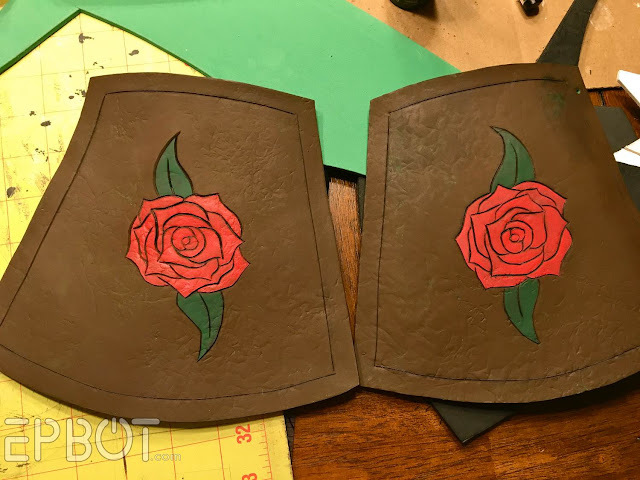 Where was this tutorial a month ago when I needed bracers for my daughter's Link costume? :P I ended up just buying her brown fingerless gloves for cheapness and quickness. 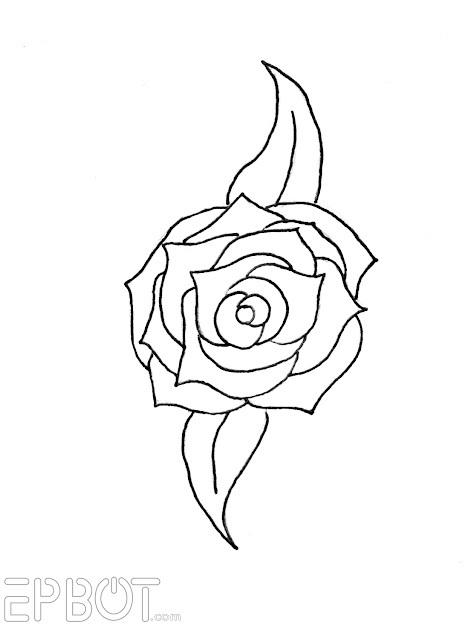 We'll have to make a pair of these (sans rose) to go with for the next time she wears it. Question for the Master Crafter (with your host, Jen from Epbot... and we are on the air, go ahead caller). Uhm... hi. 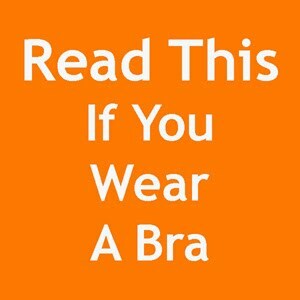 Longtime reader here... I was wondering if you wanted to do a layered gauntlet with multiple pieces, what would you use to glue them together and also, at what point in the process would you glue them (before or after painting/sealing)? I'd glue them before paint and rivet them also for extra sturdiness and the rivets will look cool and add extra holding. Or, sew them together! More detail! For glue, contact cement. It comes in tubes or in bottles with the little "brush lid." Super stinky, so use in a well-ventilated area! 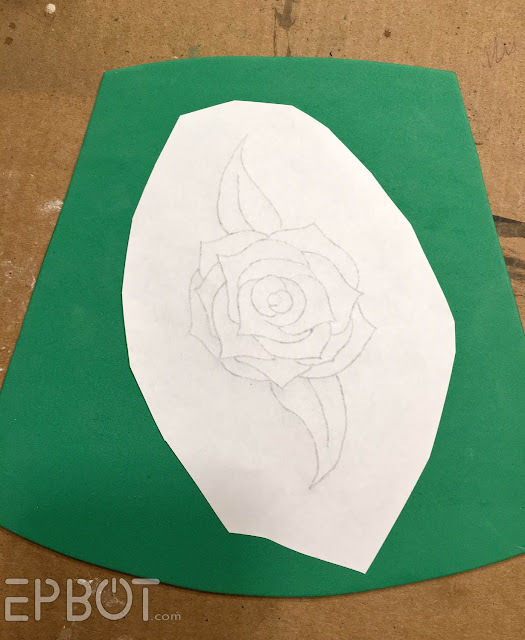 It would depend on what effect you're going for, but in some cases, if I want one layer to have "cut outs" peeking to another layer below, I may paint and THEN glue, but in other cases, I'll glue, then paint, then seal (in my process, sealing always comes last). Hi Granny K, thanks for calling. My first thought is also rivets, since they look cool, but since you don't need any flex on bracers I'd go with contact cement instead. Contact cement is PERFECT for foam, and you can buy small bottles at the craft or hardware store. Just make sure you coat both sides with the cement, and let it dry for a minute 'til there's not tack before sticking them together. For extra strength I'd glue first, then paint. Technically either way could work, but if you paint first the glue may try to pull the paint off, so most prop builders prefer to get the glue on the bare base material, just to be safe. Sobo glue is also a great adhesive for craft foam. Used the two to make entire upper body armor. I love Sobo! Well this is just amazing. And now I can't stop thinking about the design of the warrior Belle dress that would pair with these. You've opened up a world of possibilities - thanks! You are SO creative! I just can't get over all the cool stuff you come up with. I don't cosplay, so I don't really need these but I want to make them, just because they're neat. What temperature did you set the iron on? It was at max temp, Linen, I think? So you only need the briefest of passes over that tin foil. Yeah!!! 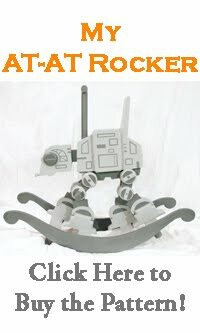 I know which member of my family needs this ASAP. Jen - THANK YOU! These are amazing! Once again, Jen, I want to drop everything and do this new project. This looks like one I might actually be able to pull off, though! SO. COOL. And versatile. I will have a different pair for every day of the year. Yay! "Borrowing" the rose pattern for my next quilt. 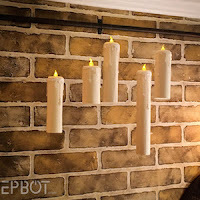 Thanks for the awesome idea on how to use craft foam to make all sorts of cool things! I wish that I knew this when I was volunteering with the renaissance faire! I have 3 sets of garb, one of which is as an archer. Since I don't wear leather, my brother used the vinyl used for car interiors to create my bracers, quiver, and belt, but I wasn't entirely pleased with the look. 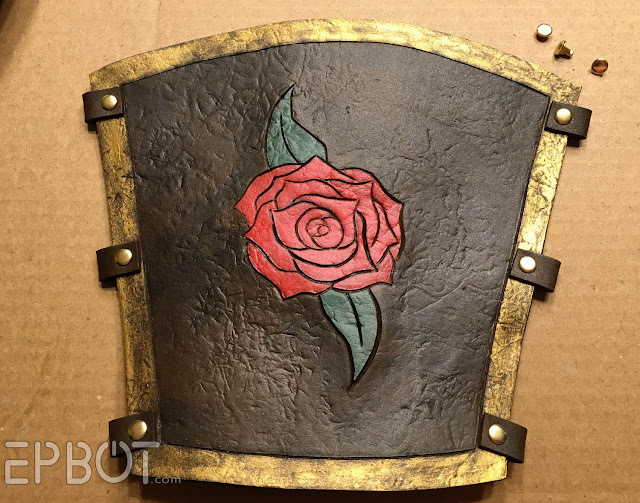 The faire that I volunteered with for 11 years, and is also where I met my husband, no longer exists, but I still might make these for when I go to the next closest one. Start with shoelaces, end up dazzling with bracers. We are doing this next summer at Animania. Solihull cool! This would be perfect for a wonderful woman costume I was contemplating after seeing the new Batman vs. Superman movie! 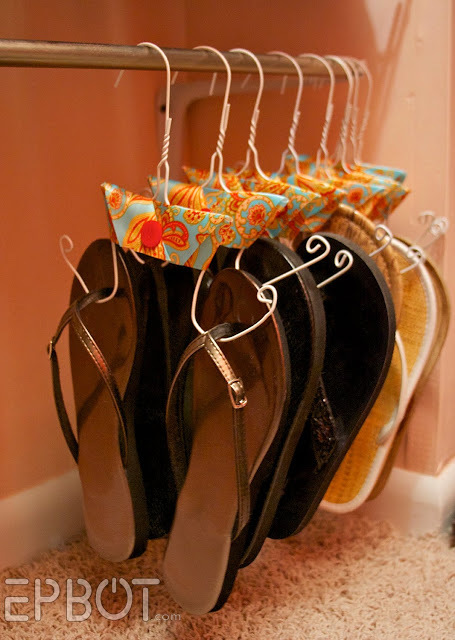 Such a neat idea. How you think of things like ironing tin foil on foam I will never know, but how cool. As a side note: I love your blog (and I love all the posts: sad, happy, anxiety-triggering, crafts, geek, photos, bras, etc.) I hope you never stop sharing what is uniquely you with all of us! I don't envision ever making a pair of braces but just knowing there's an easy technique to fake leather makes me happy. You rock and your craft skill generosity is unparalleled. Oh my word, these are amazing! And now the ideas wont stop!! 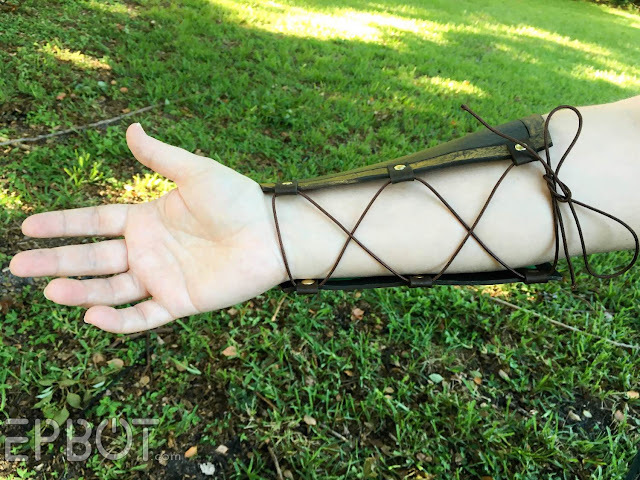 I actually tried to make a pair of leather bracers a few years ago and they were a horrible, throw in the trash, mess. This, now this I can do. Thanks so much! Filing this away in my brain in case I ever need it! So very cool! These look incredible! That leather technique gives it a spot on look. Love it! These look amazing, Jen! 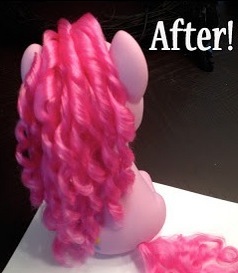 Thank you so much for sharing this wonderful tutorial with us! Love the leather-look! 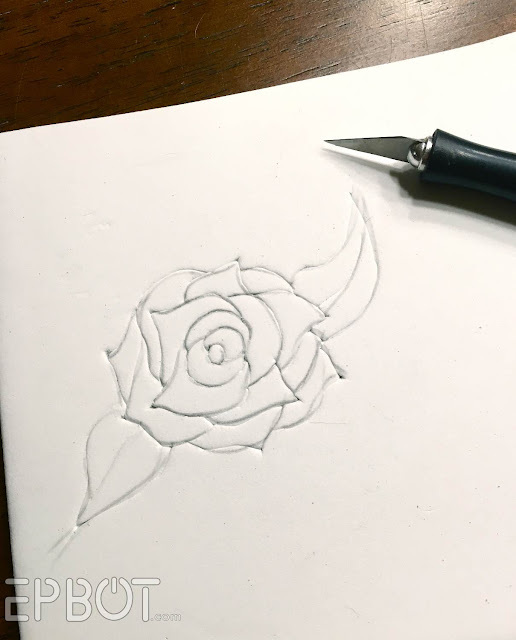 Might have to try making a travel journal cover using this method...so many possibilities! Brilliant. Want to make gauntlets for a Lady Loki costume and came across this. Thanks. Planning on using this process for my kids homeschool lessons on Ancient Greece, Rome and the Near east! Thanks for the instructions!